With more than 10 years of experiences in stone exporting business,Wellest Stone provides you efficient communication,good quality products with best price.You will get the most easy way to find the stone products here.We export to the worldwide,especially in South America,Africa,Europe,USA and Middle East.We have won numerous customers’trust because of our quality product,competitive price and prompt service. Experiences achieved in over 10 years of production help to bring about our professional acknowledge of nature stone processing.We are specialized in all kinds of constructional stone products,such as Tiles,Slabs,Countertops,Vanity-tops,Carvings,Steps,Pavement and Kerbstone,also the accessories etc.Meanwhile,accessing to a wide range of domestic source and imported stone materials,we could also fill all customized orders that clients may need. Wellest Stone has well-equipped factories.We always keep Quality is our company's life in our mind,as a result there has a set of strict quality control system we followed from design,produce,packing,loading to transportation.Equipped with advanced processing facilities,we have implemented comprehensive management and quality control systems to meet both in industrial standard and client expectation. Our business principle is The same quality,The best price,The same price,The best service.We have good understanding for stone using in projects like hotel,commercial building,airport,railway station,office building,school,hospital,residential houses,villa ect. 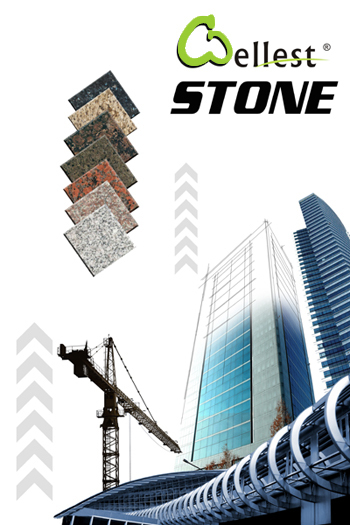 Wellest Stone is willing to establish business relations with customers from all over the world.We are looking for stable business partners who are also interested in establishing fruitful cooperation for the long-term business. Less communication time but better understanding. Experienced and useful introduction and suggestion. Your satisfaction is our consummation! Feel free to visit our showroom to select the material and the color you like !